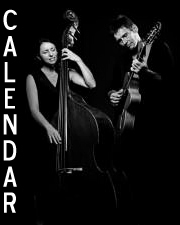 "Warwick Hargreaves - Guitar / Vocals.. &.. Tina Fullerton - Double Bass / Vocals.... are a Duo with a passion for Jazz, Blues, beautiful Ballads and all things that Groove! Their captivating style includes interpreting & blending old favourites with new & original material, the resulting sound is refreshing, their musical rapport, passion & feel is infectious..." In August 2012, the group embarked on their 2nd European tour which included France, Germany, Holland & Scotland, Out of Abingdon are fast becoming a must see act. 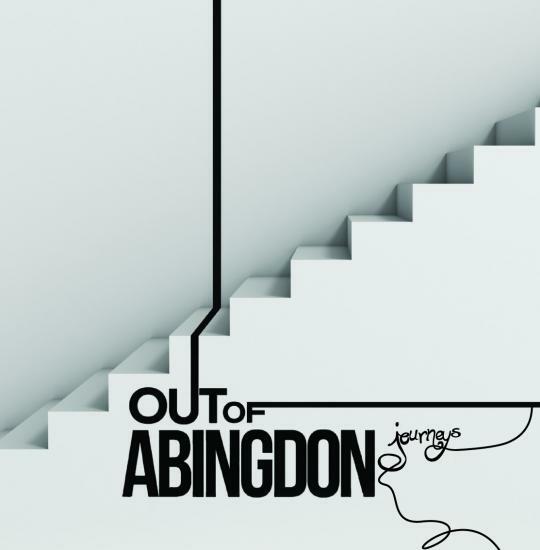 "Out of Abingdon independently released their long awaited debut CD 'Journeys' in July 2011 after building a solid following playing hundreds of live shows over 3 years. 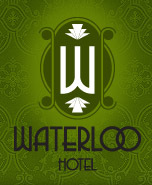 A tour to the UK followed, performances in London and the Edinburgh Fringe Festival were highly acclaimed and invitations to return were extended by all venues and audiences for whom they played. 'Journeys' has been receiving great reviews and radio airplay Australia wide through community radio stations and worldwide through an increasingly international audience. 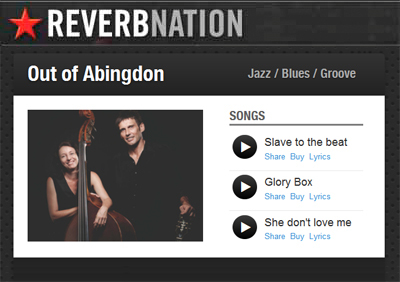 Out of Abingdon's reputation continues to grow as a captivating live music experience and unique voice in Australian music." In June of 2012, Warwick and Tina released "Out of Abingdon Live," which is a compilation of 10 songs from live performances. 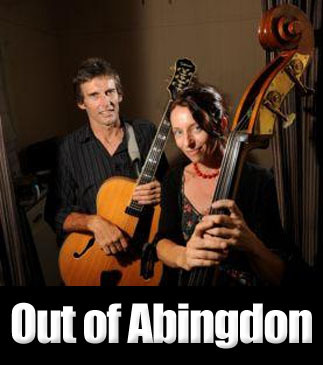 Out of Abingdon can be heard performing regularly in and around Brisbane at clubs, restaurants, cafes, public events, festivals, private and corporate functions. "Be sure to catch on to the bewitching sound, when Out of Abingdon drift your way....."
"From a passionate desire to make raw beautiful music that grooves and delights, OUT of ABINGDON have built a unique sound that draws from influences including the likes of Stevie Ray Vaughan, Grant Green, Bjork & Nina Simone. Their understated elegance draws the listener in and resonates with a growing & dedicated audience of music lovers the world over. 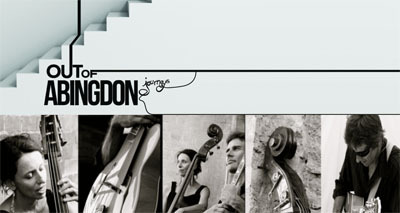 OUT of ABINGDON toured in 2011 & 2012 to the UK and Europe playing shows in London, Edinburgh, Glasgow, Paris and Berlin. Warwick & Tina met studying at Brisbane’s Jazz Music Institute and have, as a duo, played well over 400 gigs together in the last 5 years, from festivals including the Edinburgh Fringe, Brisbane International Jazz, Noosa Jazz and the Gold Coast Acoustic Music Festival to clubs, bars, cafes, private and corporate functions in and around Brisbane. They have independently recorded & released two albums. Their debut album ‘Journeys’ recorded in 2011 in the beautiful acoustics of a bluestone church in country Victoria, has received great reviews and radio play Australia wide. 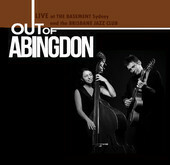 Their second CD, a live recording of concerts at Sydney’s ‘the Basement’ and the ‘Brisbane Jazz Club’ in 2012 continues to sell well at their many live gigs. 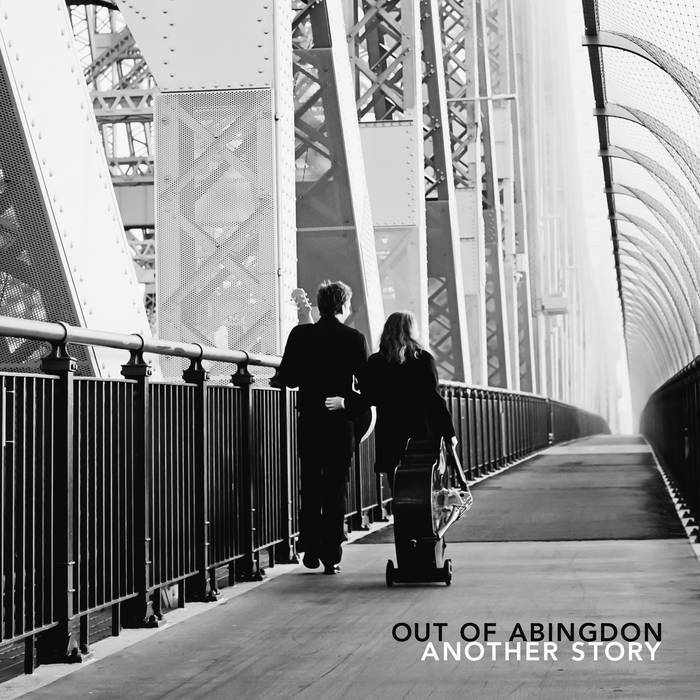 OUT of ABINGDON have just released a single and their first official video ‘3 Piece Suit’ ahead of their new CD ‘Small Steps’ to be released in September 2014. They will follow this with a tour of East Coast Australia before heading to Europe in 2015. Warwick & Tina love playing music & their passionate performances create an intimate feel that connects with audiences wherever they play. "Smooth .... spiky… Intimate .... brash … Subtle .... open and accessible… Cool .... warm… Light and airy ... down to earth and funky. Journeys is an inviting set of songs to help you through a long cold night or a warm breezy afternoon. The five original songs range from whimsy to funky and the lyrics are personal, articulate and involving, while the covers - Portishead's Glory Box a standout for me - are genuinely different interpretations of some well chosen songs. Of the originals, One of Those Happy Days is a friendly easy-going wander through the bush on a sunny afternoon, and She Don't Love Me - "but she still hangs out with me" - is a fine funky blues. Warwick and Tina both have distinctive voices which complement their own songs beautifully, and they adapt the covers to fit their style with the ease of seasoned professionals. Their take on Bruce's I'm on Fire is pure OOA (Out Of Abingdon), with quirky yet totally appropriate dobro playing and a great lay-off-the-beat vocal. 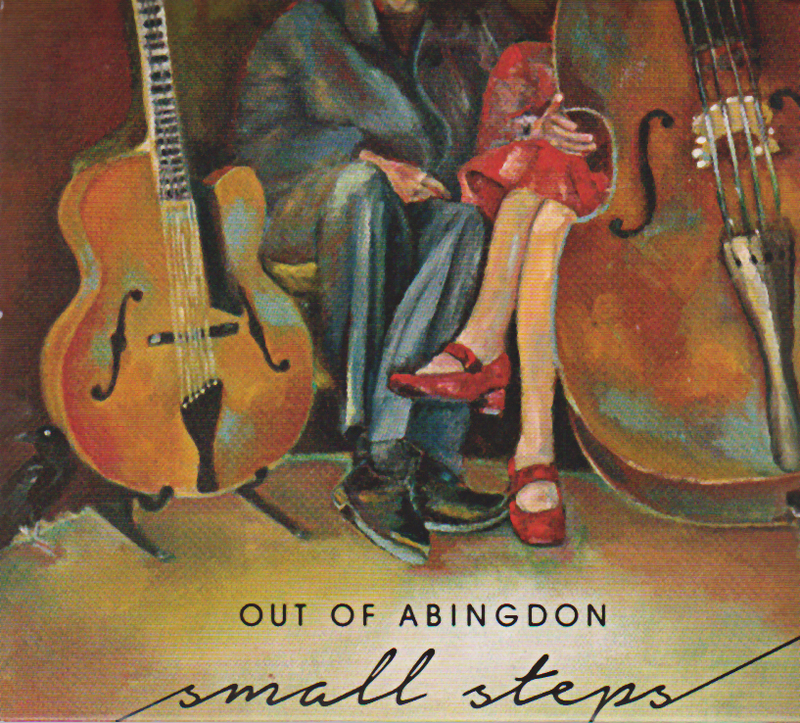 Out of Abingdon - "3 Piece Suit"